Hate when you finish a crochet project to see wonky edges? 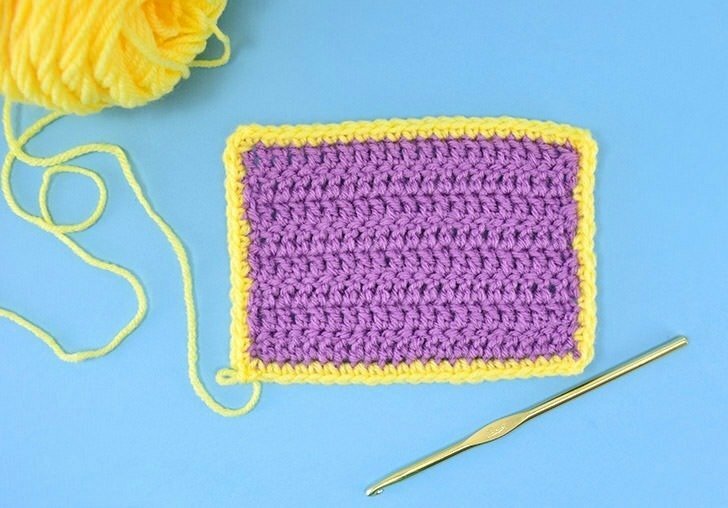 A single crochet border edge is all it takes for a clean, simple finish on your crochet projects! You know how sometimes you’re working on something and you just KNOW that it’s going to be freaking golden? Pretty much every time I decide I’m going to rock some eyeliner I am POSITIVE that it is gonna be FIERCE but when I’m done but it’s a hot mess instead. I wind up washing my full face of makeup off before heading out the door super irked. Or I cook dinner and even though it tastes amazing when I put it on the table even knowing the amount of work I have put into the dish, even I am unimpressed with the appearance. Isn’t it amazing how some of the tastiest foods, like chicken and dumplings, end up looking like glop in a bowl? Nothing is worse than working hard and looking over your accomplishment with pride that fades into irritation when you realize that despite all of the effort, you’ve wound up with lackluster results. Crochet projects can be doubly heartbreaking when you’ve finished it up and laid it out only to really notice a ragged, ugly edge that just won’t quit. Now there is something amazing about the power of blocking, but I’ve found that sometimes I can fix up a pretty wonky darn edge just by adding a super simple border. How simple? 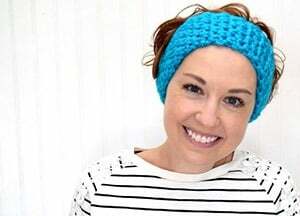 I’m talking single crochet, baby. 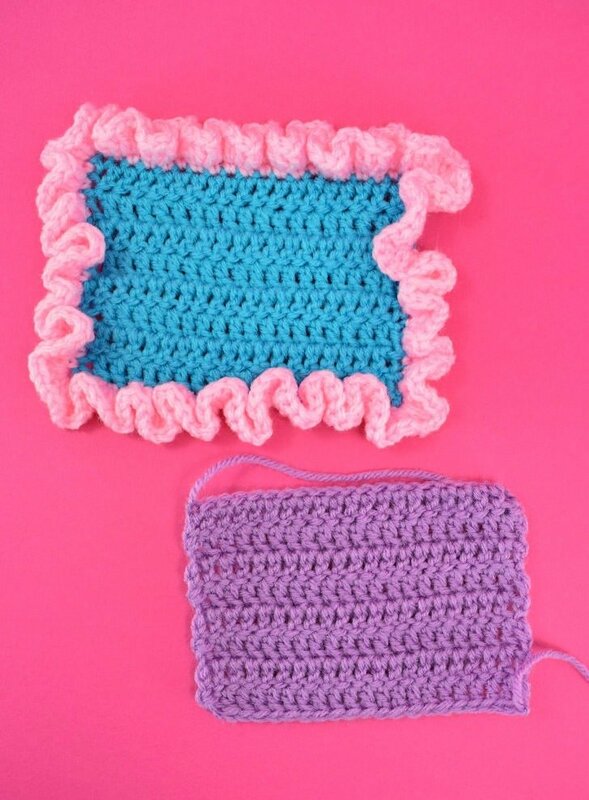 In all honesty, this tutorial is to show you how to create a single crochet border on your afghans and crochet projects as a step toward making my most recent afghan that I’m going to be sharing with you as soon that has a ruffled border. 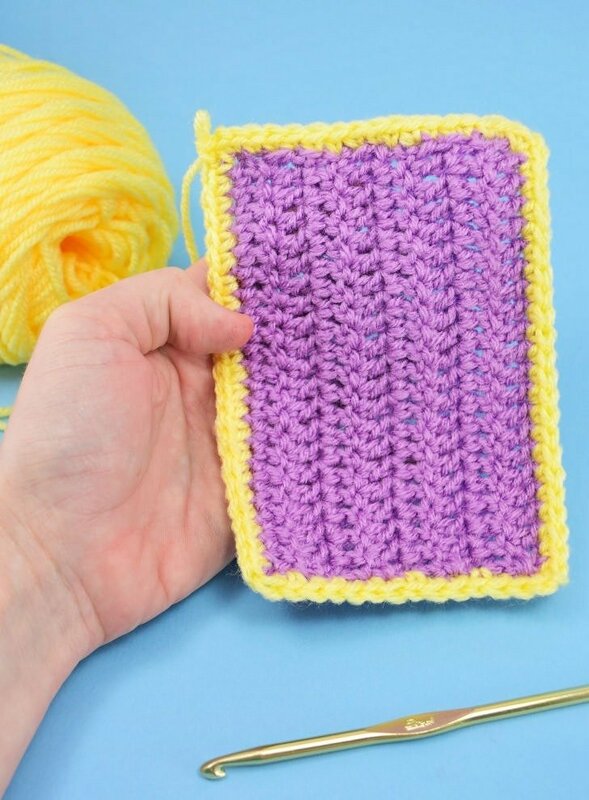 But in order to create the border you need to finish out the blanket, you first have to create a single crochet edge around the entire business, which is what we’re learning today. But guys, this afghan is so much fun. It’s literally the most amazing crochet project I’ve ever made and I’m super in love with it, but I’m getting sidetracked. 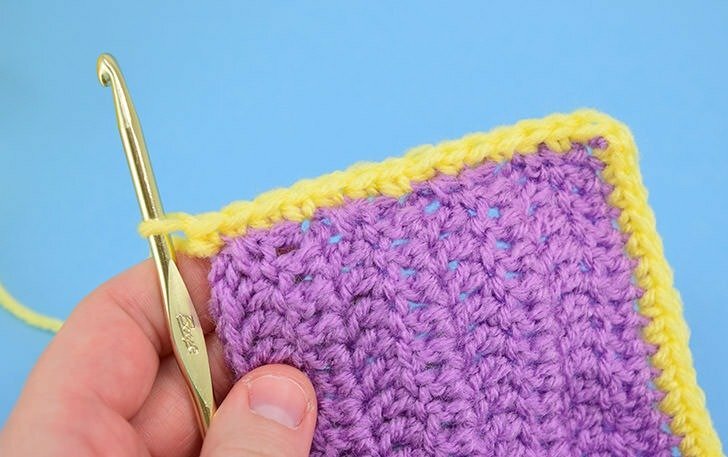 Whether the single crochet border is to be the beginning of a fancier border, or if you just want a simple way to clean up ugly edges on your projects, it’s a super simple and highly effective way to go from wonky to perfectly fine in no time flat and without tons and tons of additional yarn. 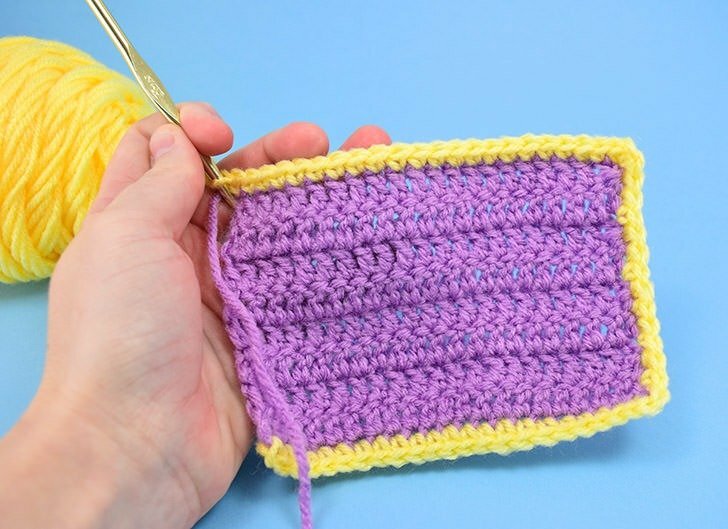 Want to learn how to whip up a single crochet border edging to clean up ragged edges? Trying to keep all of the elements of the upcoming afghan in easy to digest, bite-size, if you will, pieces I got my wires crossed and so you get a sneak peek of that lovely ruffled edge we’re going to be working on next week. Cool, right? This, as it just so happens, is the only pic with a BEFORE of my purple piece that we’re going to edge with the single crochet border. See how the edges aren’t great? The sides of my crochet are always ugly and always have been. The center of the piece is just fine. The stitches are even and consistent, it’s just those darn sides. 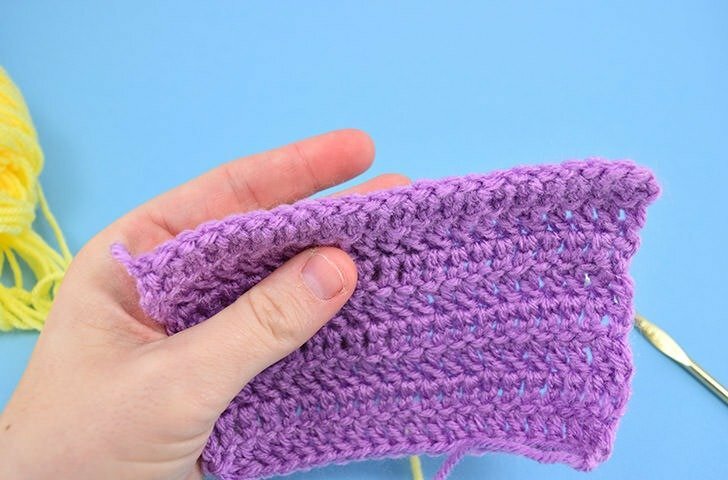 I LONG for the gorgeously straight and perfect edges I see in the projects of others, but that’s just not how I hook, apparently, and since I can easily disguise it with a quick single crochet around, I’m not going to sweat it anymore. Before we get started, this is what each stitch looks like as you’re going to work down this first edge. It’s kind of an “X” more than a “V”. See it? Starting at the first stitch of the right corner of this edge attach your yarn and create a single chain. 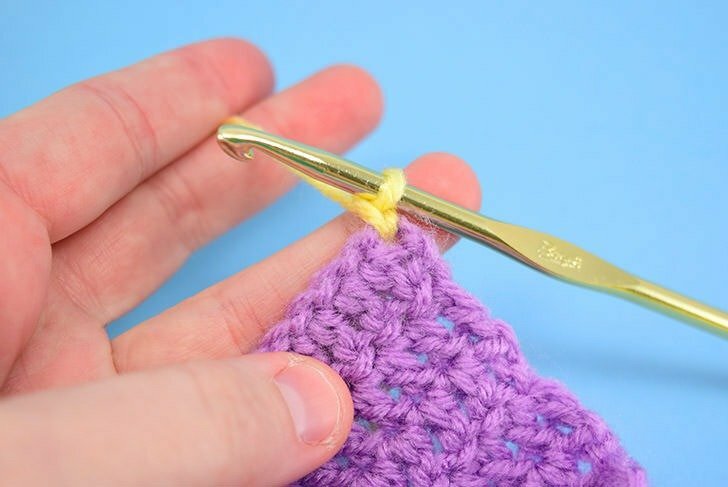 In this same spot, make a single crochet stitch. Continue down the line, and since this is the finishing edge for the piece, check every now and again to make sure you have nice, neat and even stitches without any accidental skips. When you get to the end, after that last single crochet stitch, chain once. 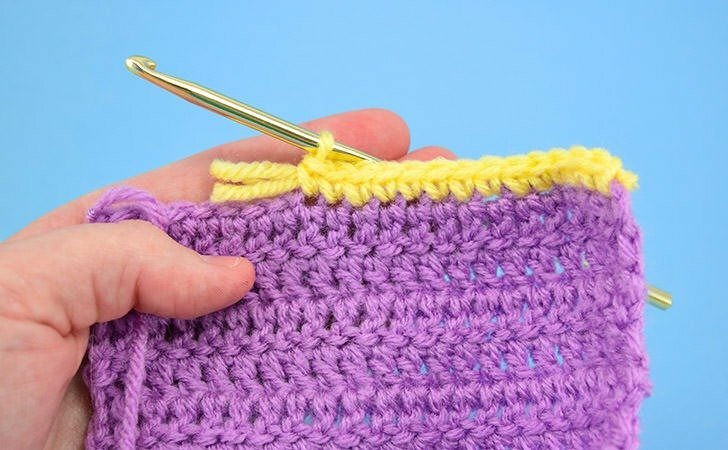 Turn your work and create another single crochet in the SAME stitch as the last. This forms a neat corner. If you’re like me those side edges are the real beast. If there is a pattern here, I am not smart enough to spot it! So how do you make a clean edge with this? My piece here is double crochet stitches. 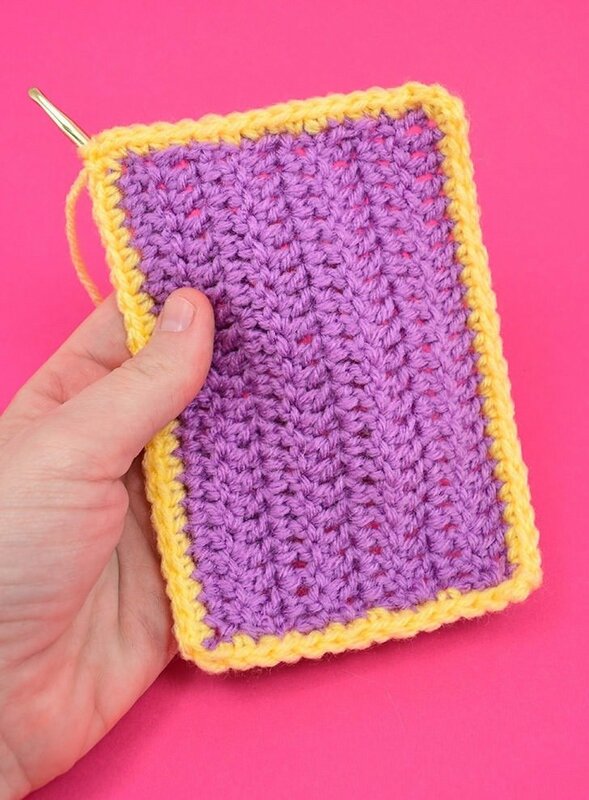 In order to make my edge as evenly as possible, I’m going to do my darndest to create 2 single crochet stitches in the side of each double along the edge. 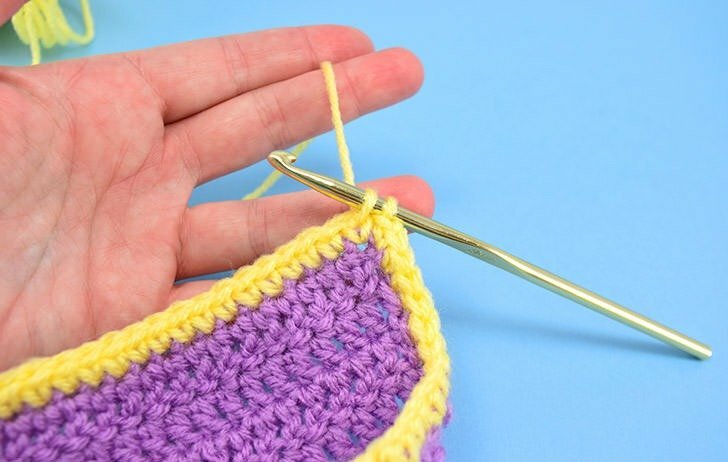 Each time you hook in you’re going to try and catch a loop at the top of the edge as you work so that your single crochet doesn’t appear too deep down in the crochet fabric. 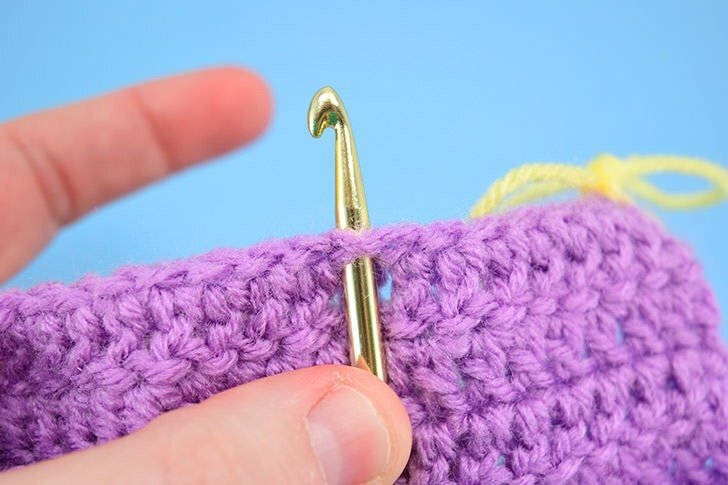 Jab your hook in wherever you can to try and get your 2 single crochet stitches in the side of each double. 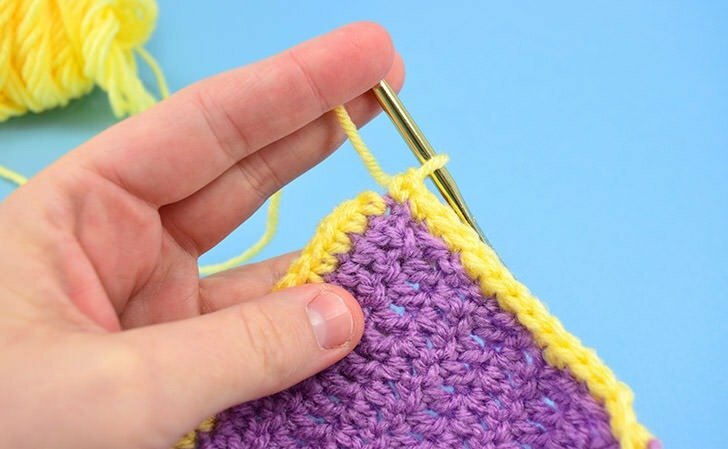 The number of stitches you want to work changes depending on the size of the stitches in the fabric you’re working… you’ll want 1 single crochet per each if the rows in your work are equal to single or half double stitches, you’ll need 2 stitches per double crochet and 3 stitches per treble crochet stitch. Once you get to the end chain once to start to form your corner. 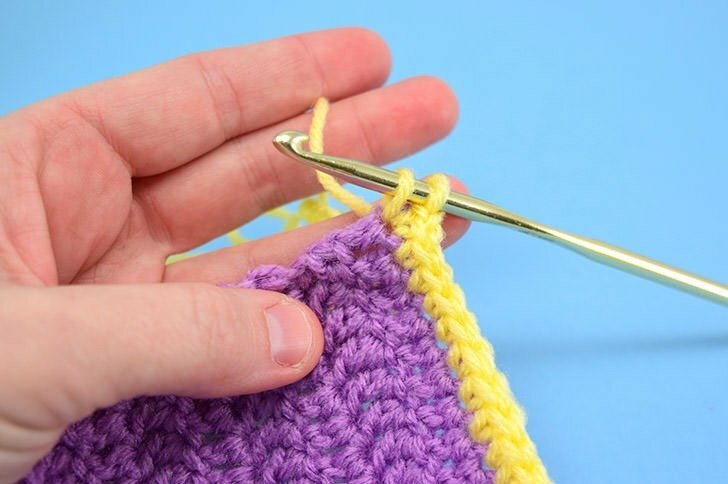 Turn the work and create your first single crochet of the new side in the same spot. This side will be the easiest, where the top edge looks like the “V” shape you’re used to hooking through. 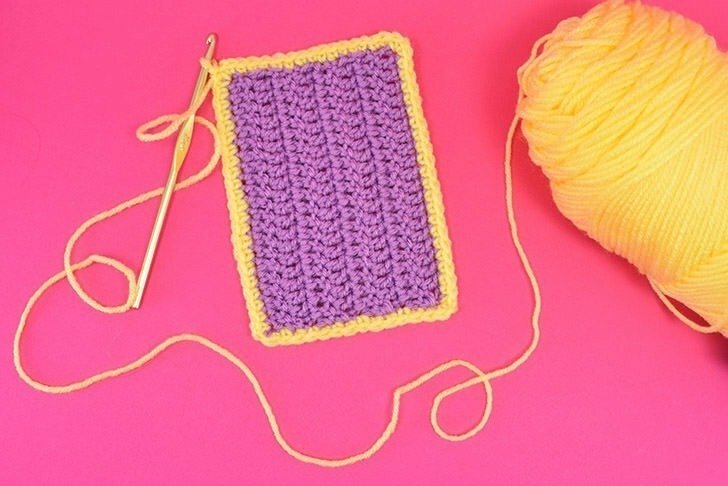 At the end, form your corner with a chain, turn your work and create your first single crochet in the same spot. 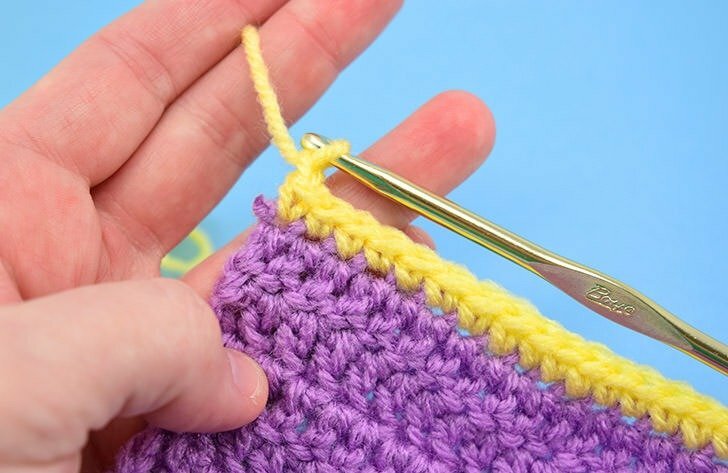 Work down the length of your side with single crochet stitches. 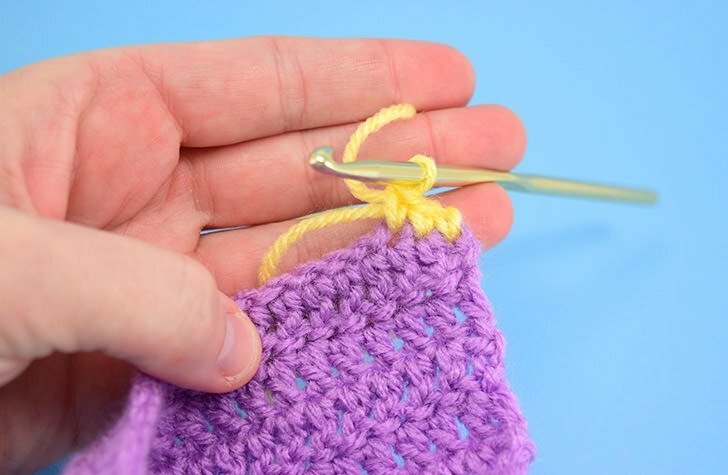 Again you’ll want 1 SC if the rows in your work are equal to single or half double stitches, you’ll need 2 stitches per double crochet and 3 stitches per treble crochet stitch. 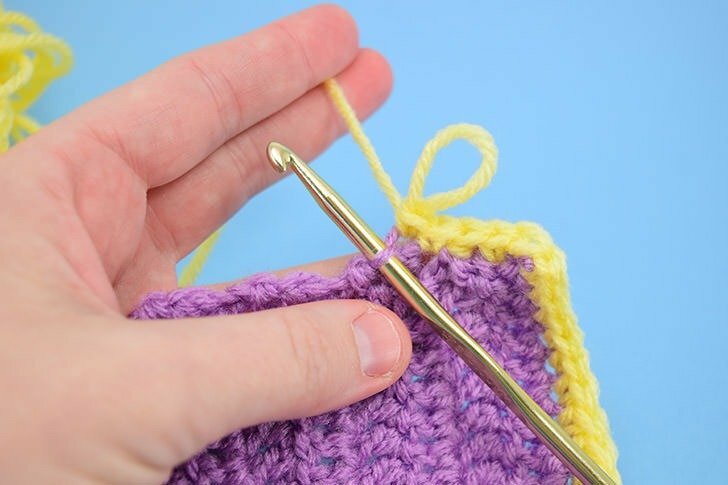 Once you get to your final corner count survey the stitches along the edge and if you’re happy with them work out your last corner with a chain 1, turn the work and create a final single crochet in the same spot. 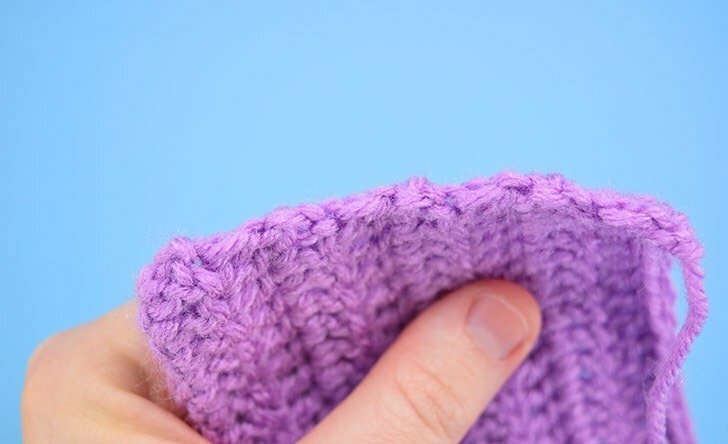 Connect to your first stitch in the border with a slip stitch, cut the yarn with a few inches to spare and weave in that tail to finish. Want to know a secret? This looks a lot better than it did before but I managed to miss a stitch on the right side of the work? See how it’s a little too short? If I hadn’t told you would you have noticed? Maybe not! But now I’ve got a great, even “looking” edge that looks fab as is, or is ready to take on a fabulously frilly ruffle border. Be sure to check back for that next week!